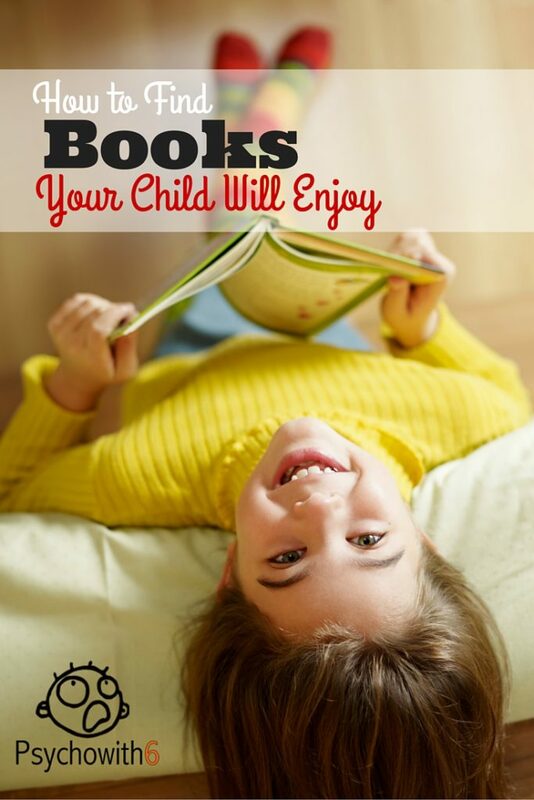 This post is in a series of posts called 5 Ways to Help Your Child Become a Better Reader. Of all the posts in the series, this is the most critical. Giving your child a steady diet of delightful fiction and nonfiction is one of the best things you can do as a parent. Fortunately, providing good books doesn’t have to be expensive. The library is free, many Kindle titles and other online books are free, and friends’ books are free to borrow. Before I share 6 ways to find books your child will enjoy, I want to give you a couple pieces of advice about book choice. First, remember that your child may have much different tastes than you did as a child. Insisting that your child read specific titles you loved isn’t the best way to encourage independent reading. I will share more about this in a future post, but for now, allow your child the right of refusal for books that are to be read for pleasure. My second piece of advice is to treat books like you would movies or video games: research them before buying them or checking them out for your child. I’m not suggesting you read every book before your child. I have never had time for that! But when it comes to titles you’re not familiar with, it’s good practice to review them. I have been absolutely horrified by the content of some children’s and teen’s books I’ve looked over lately. Unfortunately, in an effort to get kids reading, some publishers have been giving kids what they think they want, rather than what is best. Book awards and five-star reviews are no guarantee that a title is appropriate for your child. A quick way to avoid serving your child the equivalent of “junk food” in a book is to read the 1-star reviews on Amazon. 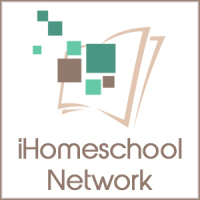 These reviews are usually by parents who will give you the objectionable content, so you can make an informed decision. 1. 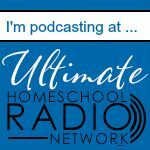 Search for titles similar to those your child has enjoyed. Whether your child read a book himself or enjoyed one you read aloud, you now have a key to finding more great titles. Here’s how. 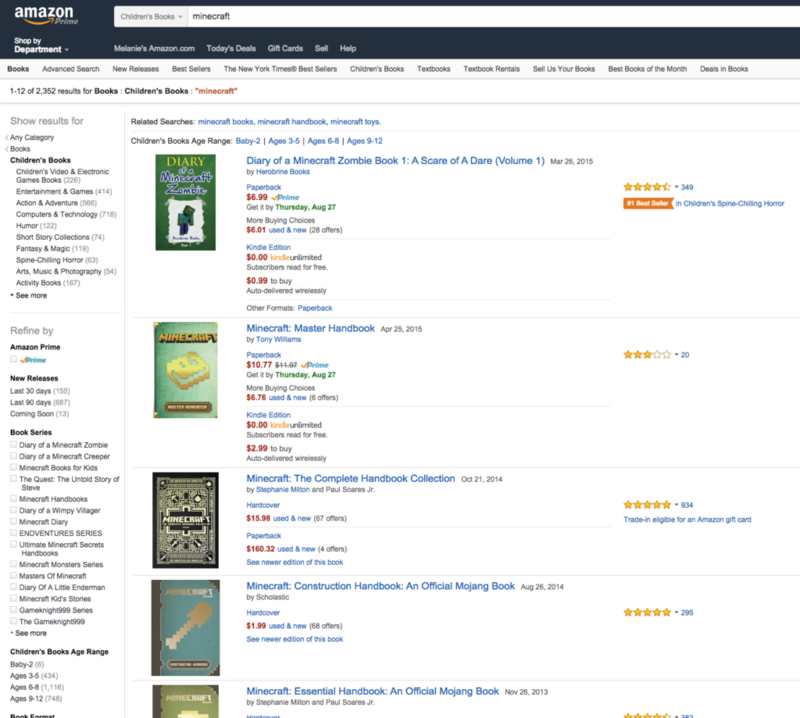 Enter a book title into Amazon’s search and scrolling down a bit will pull up a list of books customers have also purchased. My boys have all been crazy about Calvin & Hobbes. Checking the other books customers purchased for this title includes more Calvin & Hobbes titles as expected. But continuing to click the right arrow gives me these suggestions to consider. 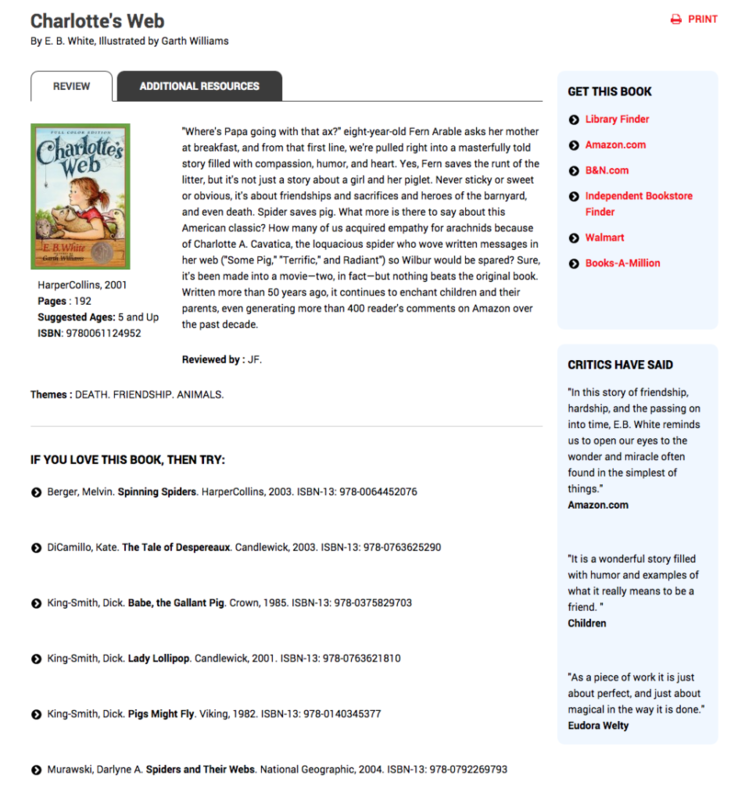 I searched for Charlotte’s Web through my library’s online catalog and got these recommendations with a reason why each title was selected. 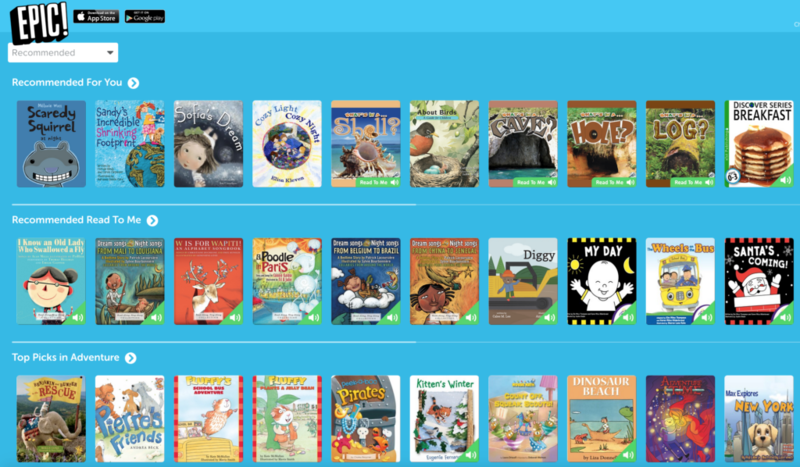 While the database isn’t nearly as broad as Amazon’s, Read Kiddo Read also suggests titles based on books your child loves. 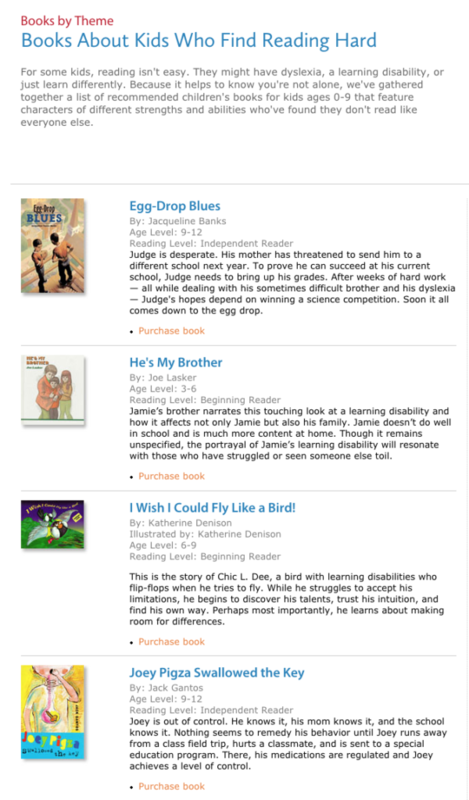 Here are more recommendations based on Charlotte’s Web. 2. Search for books by movies your child has loved or wants to see. Even if you don’t enjoy reading the book after you watch the movie, your child might! Did your child love the Minions movie? Maybe that was just me. 🙂 Look at this cute junior novel to entice your young reader. Is a new movie coming out that your child is dying to see? Get the book and have him read it before seeing the movie. 3. Search by age / grade level and gender. 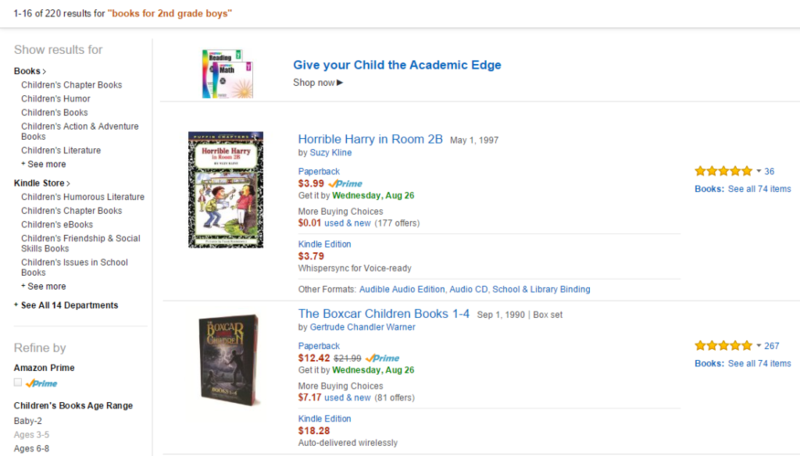 These were the top two results on Amazon books for 2nd grade boys. Note the 5-star reviews! Books in series are an excellent choice. If your child likes one, he will want to read the rest. 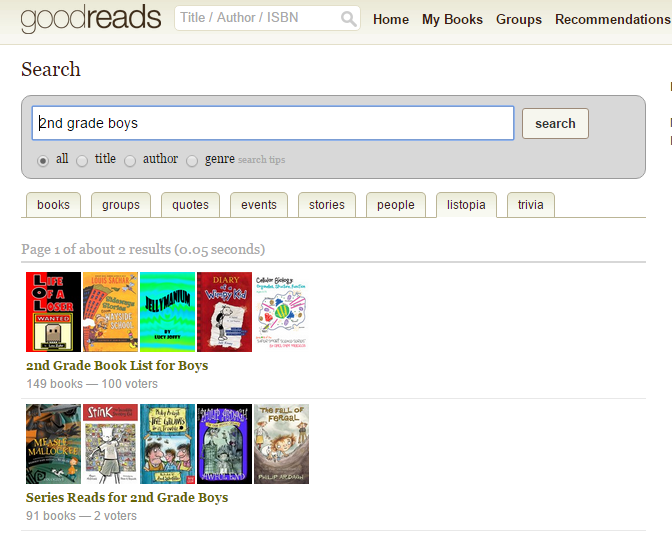 The same search on Goodreads produced two lists that others are voting on, giving you even more social proof. Searching for 2nd grade boys’ books produces individual pins like this one as well as boards on the topic that are worth checking out. I have a Reading Ideas board where I share book lists that may be helpful, too. 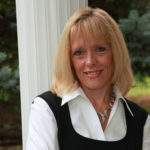 Follow Dr. Melanie Wilson @psychowith6’s board Reading Ideas on Pinterest. There are a number of books that recommend titles for your child by age and sometimes by gender. 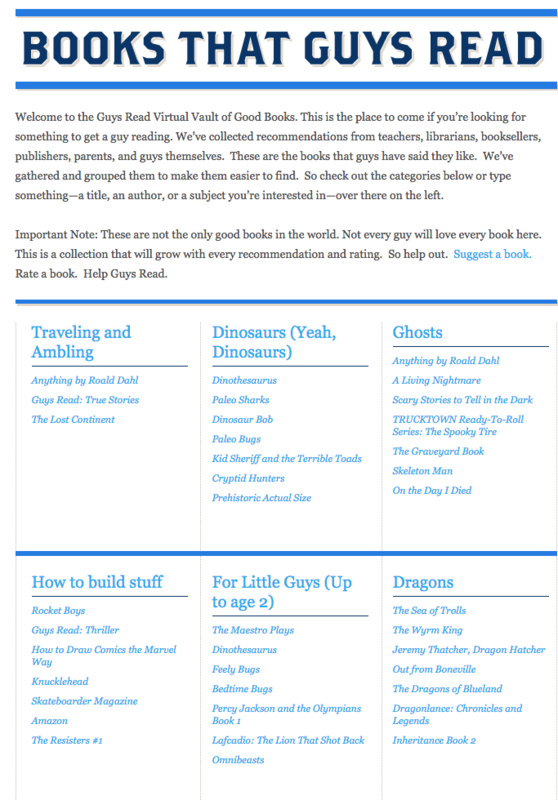 I love that the Guys Read website makes reading seem macho. 🙂 Go over the topic list with your son. Anything sound interesting? This is just a sample. Kids, like adults, are motivated to read for the information they need. Are you taking a trip? Give your child a book on your destination and ask them to decide what they would like to see most. Are you expecting a new baby? Try a book on babies or being a big sister. 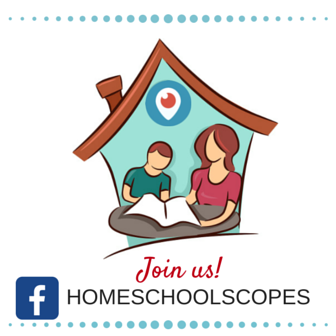 Would your child like to earn some extra money? Find a book on businesses for kids or on the skills they will need to develop for that business. Would your child like a pet? Suggest a book on the care of that pet before you bring it home. This is my favorite tip. If your child has a friend who loves to read, ask him for his favorite titles in front of your child. Ask him why he likes those books and ask if you could borrow them, if he owns them. Having boys (in particular) share their love for books is really powerful. But my daughter has loved sharing books with her friend, too. Your local librarian knows what books are popular with kids and should be able to recommend titles based on your child’s interests. Many libraries put award-winning books in prominent locations. Check this site for 2015 award winners. Just remember my warning from above! But even without asking for help, your child is bound to find something of interest to her if you spend enough time around the books (and not at the computer station). Whether you just let your child peruse the children’s section until something catches his eye or you participate in a scheduled book talk, the library is the perfect place to find great books. It’s important to note that audio books are books, too. They build vocabulary and aid word recognition in printed books. Ask your librarian how to access audiobooks online if they they have them available. Do you have any other tips for helping your children find books they would enjoy? Please share them.